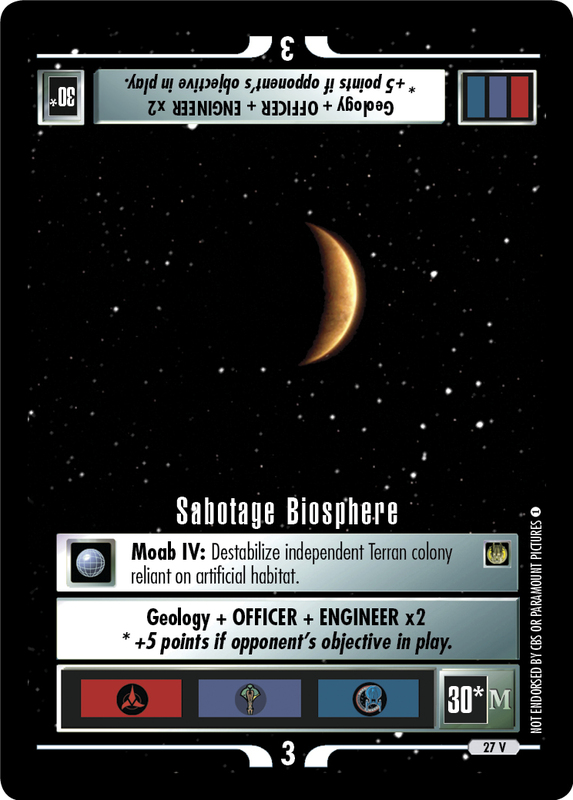 Moab IV: Destabilize independent Terran colony reliant on artificial habitat. Mission located in Mirror-Quadrant with span: 3 and points: 30. Special Instructions: * +5 points if opponent's objective in play. Card logging info: First edited by Telak at Nov 27th, 2016. Please support openCards and validate game text of this card!